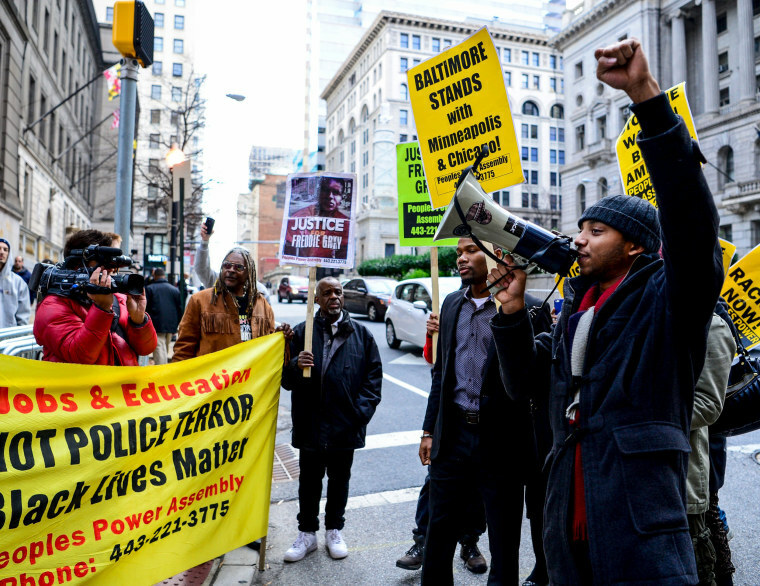 A Maryland judge declared a mistrial after the jury deadlocked in the trial of Baltimore Police Officer William G. Porter on Dec. 16, 2015. 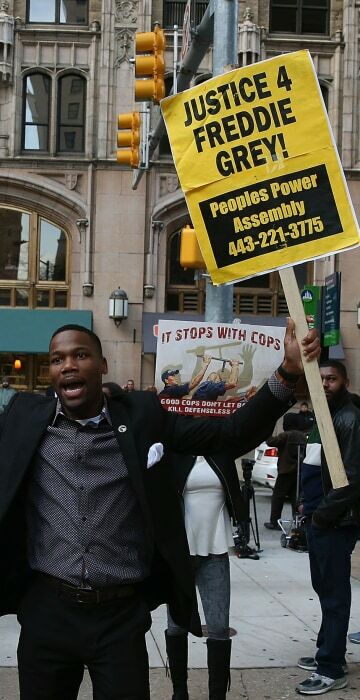 Moments before his arrest, activist Darius Rosebrough (R), leads a protest in front of the courthouse. 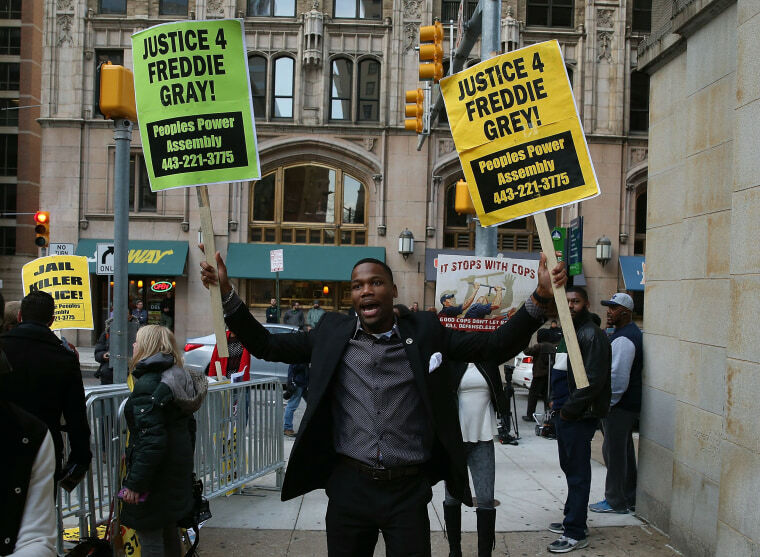 A man protests in front of the Baltimore City Circuit Courthouse. 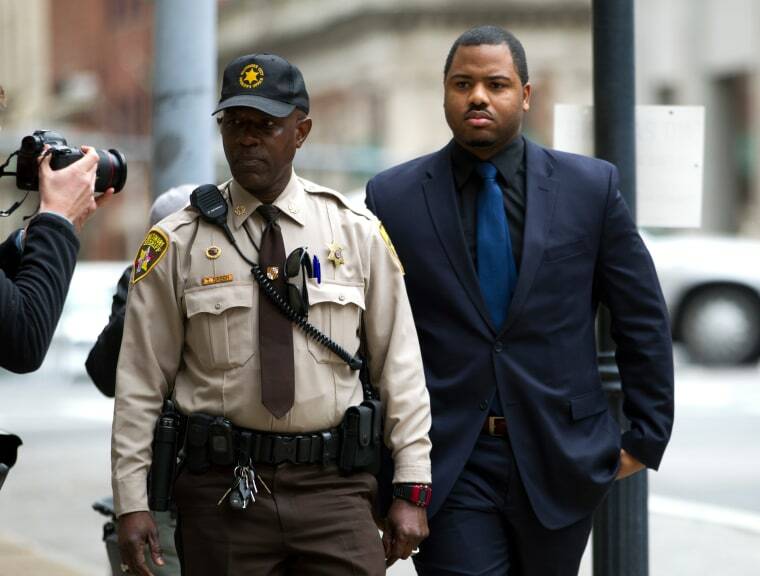 Officer William Porter (R), arrives at the courthouse as jury deliberations continued in his trial. 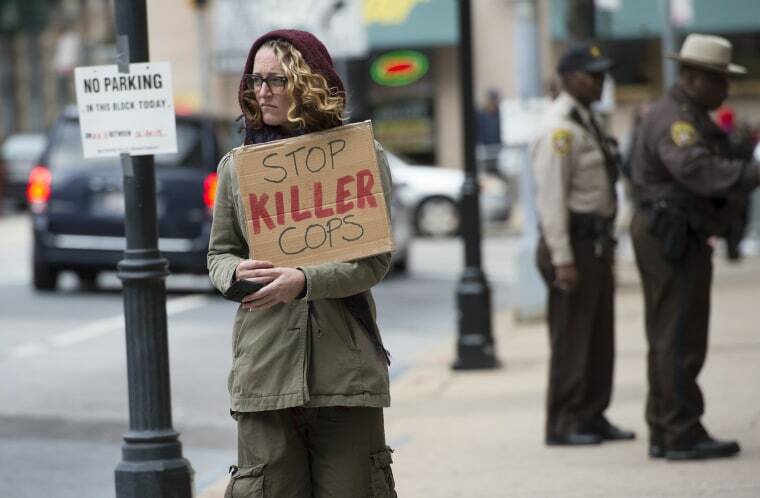 A demonstrator holds a sign during the trial. 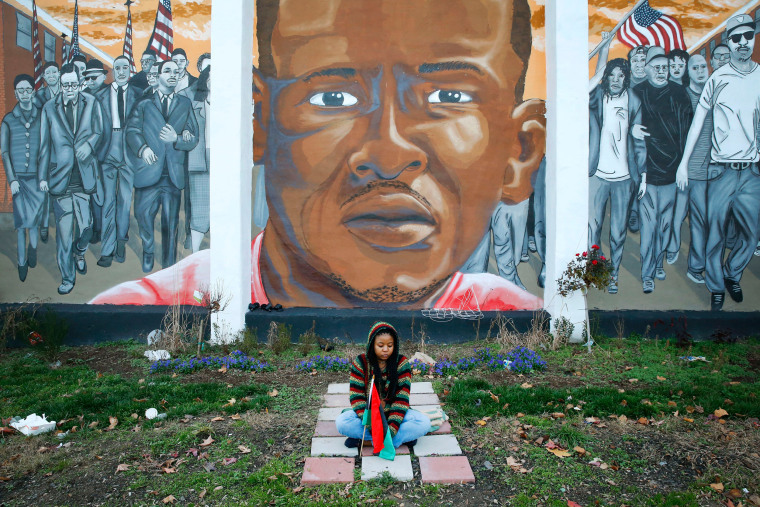 Jazmin Holloway sits below a mural depicting Freddie Gray at the intersection where he was arrested. 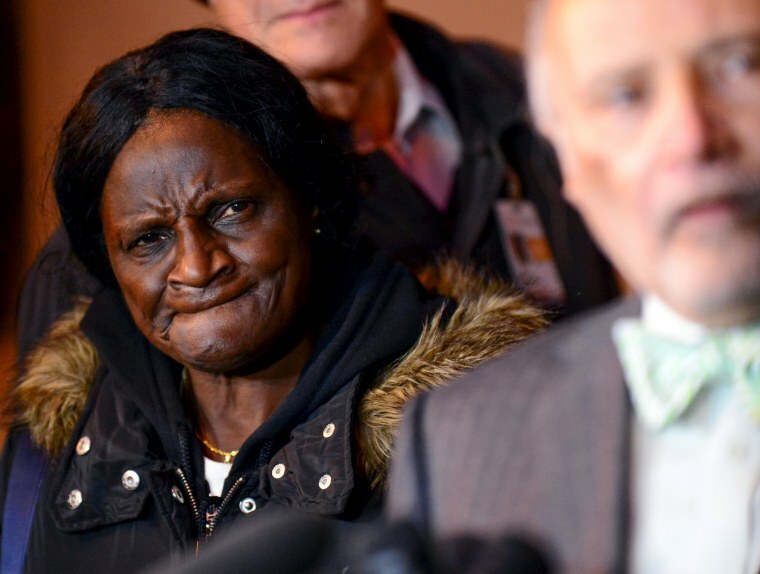 Gloria Darden (L), mother of the late Freddie Gray, listens to media questions during a family news conference outside the courthouse. 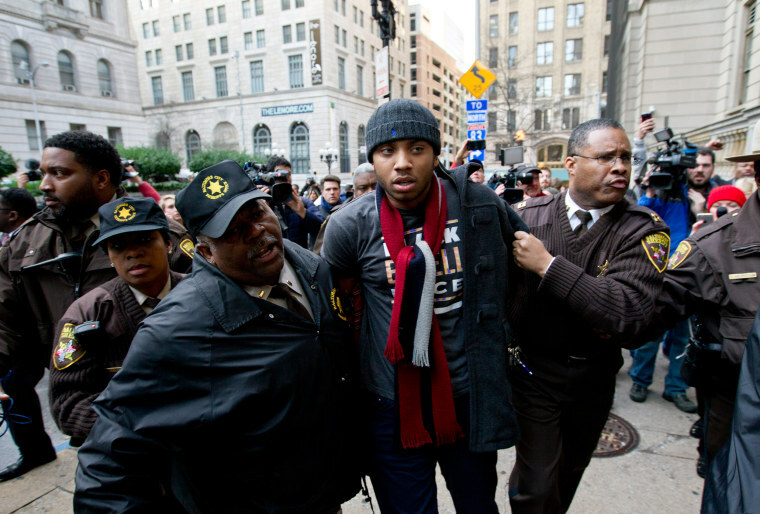 Activist Darius Rosebrough is detained. 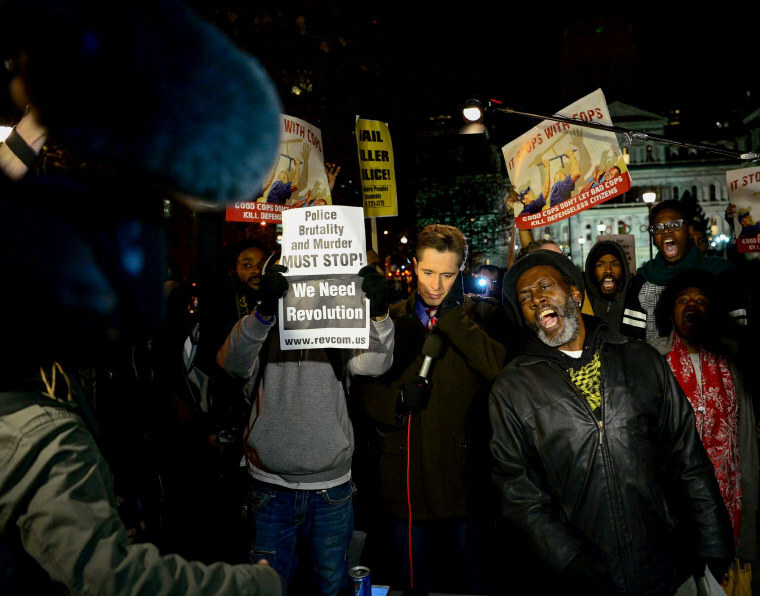 Protesters gather around a television crew outside city hall. 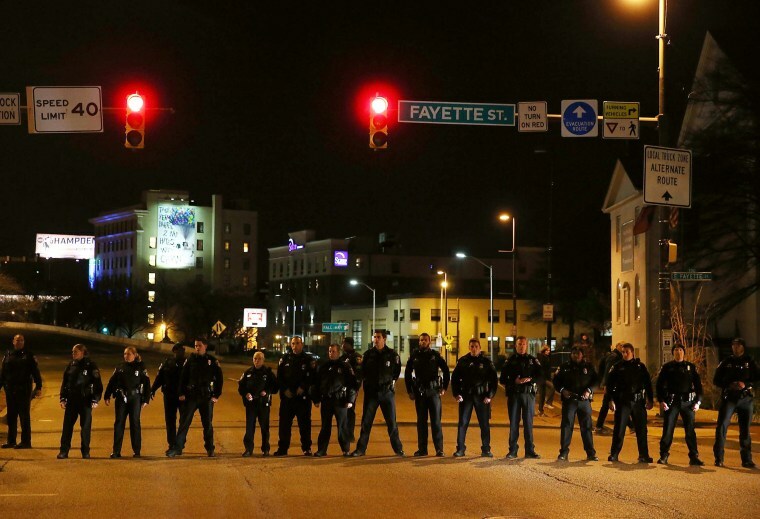 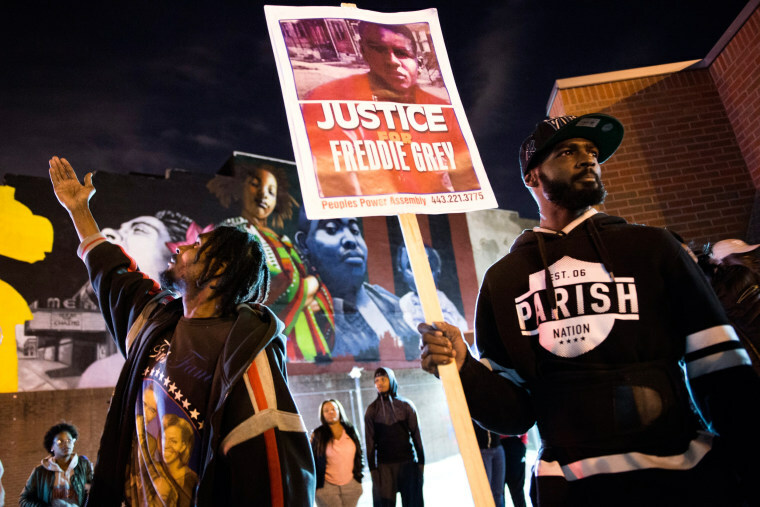 Protesters rally at the sight of last April's riots. 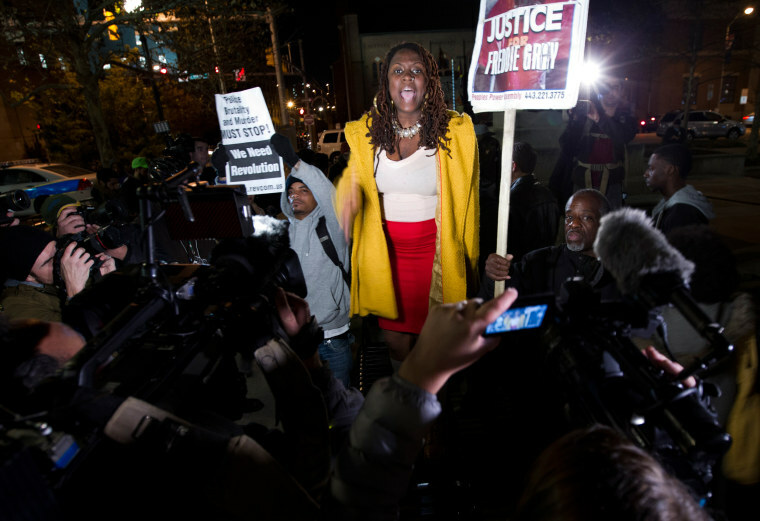 A demonstrator addresses fellow protesters outside the courthouse. 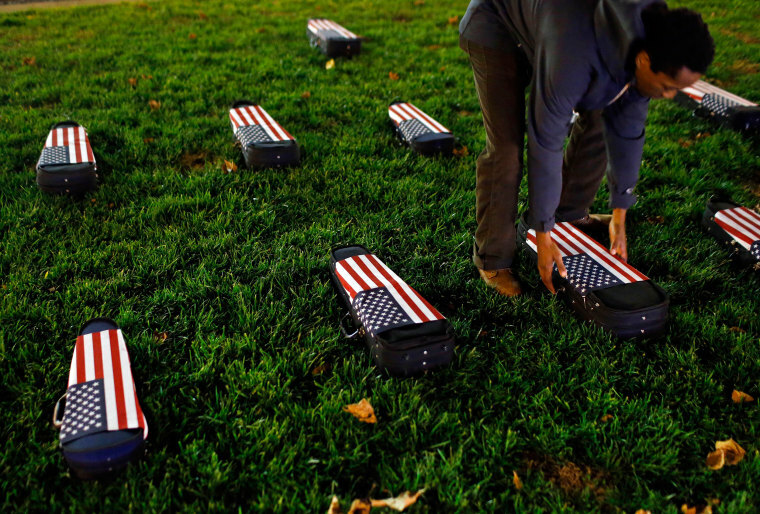 Charles Mason III collects musical instrument cases that represent coffins containing the remains of victims of police violence outside city hall. 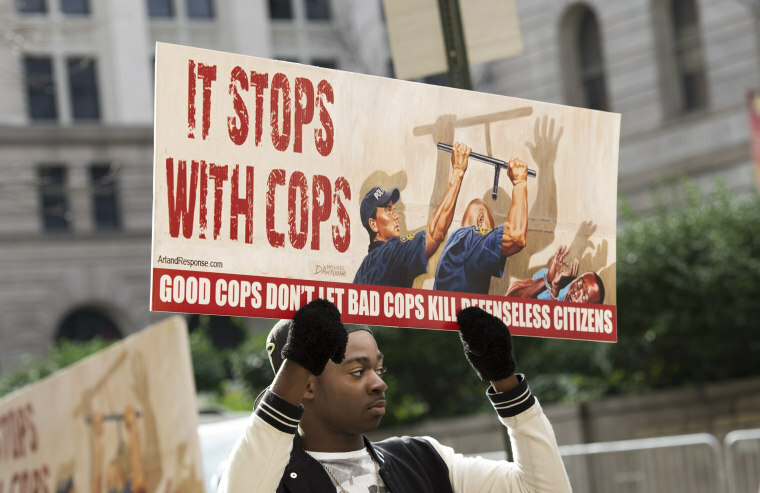 Mason's mentor, artist Paul Rucker, placed the cases in response to the trial for Officer Porter. 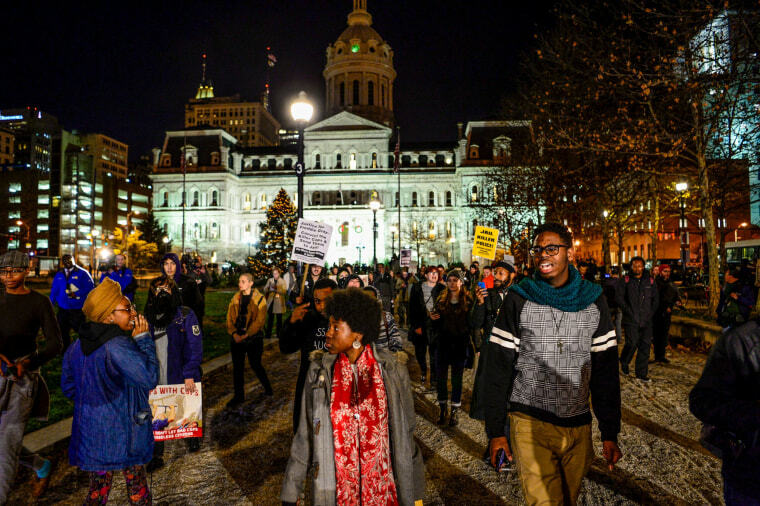 Protesters march at city hall.